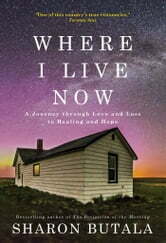 I loved this book, from her connection with the Prairie and the People who lived there before. I lost my husband recently and I felt like I almost followed her path. I really connected with how she dealt with her grief. So many times at night after reading for awhile I would go to put it down and something would come along and make me keep reading. Beautifully written, although the author loves to write with long, run-on sentences. Her journey resonates deeply on so many levels. I enjoyed this well-written book although it brought back some painful memories of losing a loved one a few years ago,also with esophageal cancer.The author's detailed description of the natural wonders of this area also rekindled very pleasant memories of life growing up on a farm in Southwestern Saskatchewan,and holidays in the Cypress Hills.This has to be one of God's most beautiful creations which can only be truly appreciated by being experienced.